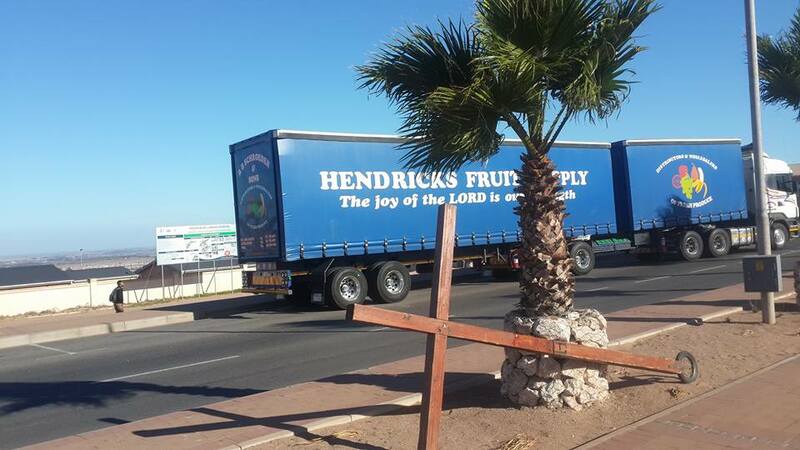 Yesterday after a long strong windy icy walk in Vredenburg with the cross coming back as i looked up i saw this huge truck with the words ” The joy of the LORD is our strength” It blessed me so much and it gave me new strength as it was not a easy days walking and battling against the freezing wind with the cross. Instantly i said to myself i need to take a picture of this truck and share with the world. 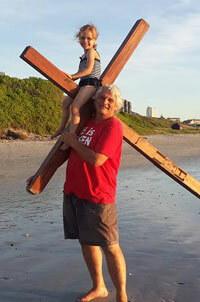 As i was on the opposite side of the road with traffic on the double highway passing through Vredenburg i dashed across and put the cross against a palm tree. i see the company that the truck belongs to is RB Schroeder & Sons. 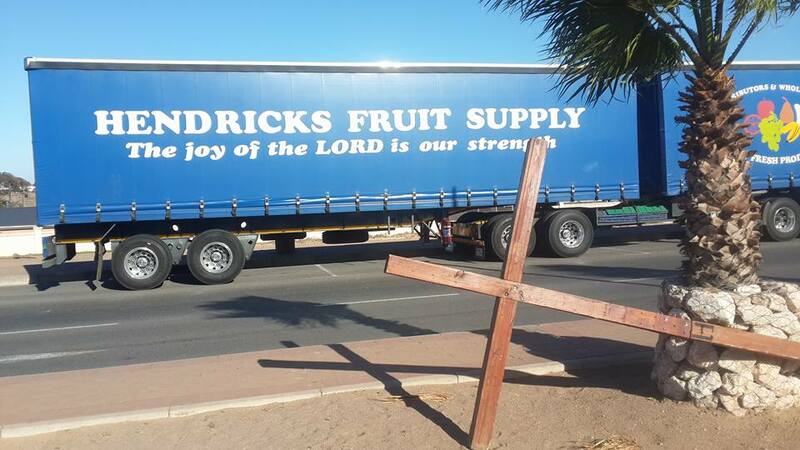 Bless you guys as when you drive that this message will be well received wherever you on the roads of South Africa.